This is part two of an exclusive Forest Of The Rain Productions interview with Ms. Demetrius Deal, former Prince George's County Public Schools Head Start Family Services Coordinator. 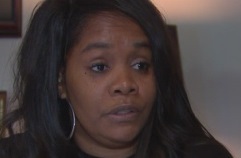 She agreed to discuss her claims, she was terminated for defending a parent of an abused child and her comments about a "cover-up" related to child abuse and neglect within Prince George's County Public Schools Head Start program. FOTRP: There was an email disclosed recently that was sent from you to several people to include the CEO, Dr. Kevin Maxwell, why did you forward the email? And did you get a response from anyone copied in the email? Ms. Deal: I never forward any email to anyone. That email originated from the parent. After speaking with me stating, the principal of H. Winship Wheatley, the program Supervisor of Head Start and the Area I Instructor was giving her the run around with their responses, as it relates to outcome of the incident that involved her son, I informed her send out an email and state her concerns by which she did on January 19, 2016. From what the mother tells me, no one ever did respond to the email that was sent out on January 19, 2016, to the CEO, principal of Wheatley, Area I Instructor, Program Supervisor of Head Start, Executive Director, Coordinating Supervisor of Early Childhood programs and myself. FOTRP: Why send an email, why not contact CPS directly? Ms. Deal: Let me be frank, if I only sent an email, then I should have gotten terminated. On January 12, 2016, around 7 pm, the parent sent me several texts and a disturbing picture. I called her and asked, “What is this?” The parent stated, “this is what the teacher sent me, can you please report it to the principal” I assured her I would. After hanging up with the parent, I called the Lead Head Start Teacher at H. Winship Wheatley and shared with her what the parent shared with me. She asked for me to send her the picture, I did. In the morning I received a text from the Lead Teacher, asking me if she wanted me to inform the principle or just stay out of it. I never responded because I was in route to the school. Once getting to work, I met with the principal at the H. Winship Wheatley, in her office, and then I call the Program Supervisor of Head Start on her cell phone to tell her she needs to get to Wheatley because we have a serious situation. At that point, I was informed by the Program Supervisor that the parent was at a policy council meeting with her, so the principal informed the Program Supervisor to take the parent statement and scan it over to her by which she did. Meanwhile, the principal, the Area I Instructor and I were discussing the incident. The Area I Instructor was on the speakerphone. I was instructed to go write my statement. I use a school computer, in classroom 3 to type my statement, I printed on a school board printer, using my EIN number, then went back to the principal office to give it to her. She called her supervisor back and told her, I have Demetrius Deal statement. A conversation came up by the principal about the teacher mostly likely be fired, once she reports the incident to CPS because she recently had a teacher get fired once CPS got involved (teacher initials A.S). I stated, good and rightfully so, she should be fired and the Area I Instructor agreed verbally and made a statement off the record. The principal then asked me to call Program Supervisor of Head Start back. I did, and she said she just scanned over the parent statement via email to the principal. The principal couldn’t read the parent statement because it wasn’t legible, so she asked if I could call the parent, but I told her you to need to call her, and she did. Soon suddenly, the parent called me and informed me that the principal called her to rewrite her statement and she was pissed. She then asked me to tell the principal that she couldn’t come tell after 4:30, once she pick all her children up from school. I informed the principal that the parent wouldn’t be able to come until after 4:30 and went back to the classroom. After leaving Wheatley that day around 4 pm, the principal call me to come back to Wheatley, so I could sign my statement. I returned to the school and saw the parent entering the building. I signed my statement and left. The next day the principal informed that the parent added more information to her original statement. I asked what do you mean, and the principal stated she brought other allegations of abuse that the teacher was doing to other kids. The principal was visibly upset. I believe this is the MAIN reason it was never reported to CPS, without my knowledge. Moreover, I didn’t report it to CPS because the principal said she was going to report it, she took my statement and the parent statement. And the Program Supervisor of Head Start stated, “You wrote your statement, now stay out of it, Julie and the Board is handling it.” It wasn’t until August 16, 2016 when I was placed on administrative leave, I learned that the principal never reported the incident to CPS, like she stated she would. I was under the assumption she reported 8 days later, according to the Outcome Finding Report, but later to learn, she never reported it at all. Help me understand, what were her purpose of taking my statement and the parent statement, along with the supporting pictures & texts? Did she just stuff the information on her desk, and act like a child wasn’t violated at the hands of a teacher who reports to her, at her school. FOTRP: What type of correspondence do you have that backs up your claims of reporting incidents of abuse and neglect? Do you have emails, letters, memos or audio recording? Ms. Deal: As a Family Service Worker in the Prince George's County, we hardly ever deal with claims of child abuse & neglect. Typically, we are informed as a third party from the teaching team who brings the incident to our attention. Thus, when this occurs, we report it directly to the principal & the Program Supervisor of Head Start. However, the only claim that was brought to my attention, as it relates to child abuse & neglect is the one in the Out Finding report. I have texts, phone records, emails, and written statements to support that on January 13, 2016, I met with the principal, wrote a statement, gave to her and that the parent wrote a statement to the principal as well. FOTRP: Have you been discharged and will you appeal? Ms. Deal: Yes, I was wrongfully terminated and I have requested for an appeal. FOTRP: Why do you believe you were discharged? Ms. Deal: I believe I was never given a due process. I believe my Loudermill meeting was only conducted because it was my legal right. I believe the CEO terminated me after the grant was snatched to appease the public and cover up their negligence. I believe they failed to properly investigate this matter, and thought by firing all individuals in the Outcome Finding report; this subject matter would go away. I believe there was NEVER an investigation because if it was, surely more heads should’ve rolled. I believe that the School Board believed that the Outcome Finding report was accurate, even though it clearly stated that the Program Supervisor refuse to corroborate with them and turn over essential documents needed. Moreover, during my LoudermillI provided the necessary documentation to clear me at my Loudermill meeting, yet my own Union lawyer stated they’re using me as a scapegoat. Further, I truly don’t believe I will have a fair Appeal (but God will get the Glory), even though I have 262 pages of emails that will show I’ve been bullied, harassed and encountered workplace retaliation at the hands of administration for supporting a parent and doing my job ADVOCATING FOR CHILDREN & FAMILIES. I also believe that the principal of H. Winship Wheatley & the Area I Instructor intentionally didn’t report the incident to CPS because the principal feared she would be fired after the parent re-wrote her statement and added additional child & abuse neglect allegations of other students, in her statement on January 13, 2016. I believe the principal set me up when she decided not to report the incident like she stated she would. I also believe that the Area I Instructor fabricated the timeline sent to the Office of Head Start, to cover up for the principal. Tragic…I respected this principal and had no reason to believe she wouldn’t do the right thing by reporting the incident to CPS as she stated, otherwise, I would have reported it myself.